The first time I cooked for Joey, I cooked for him what I would cook for myself alone. (The food of my picky childhood, the quick nutrition that my mother had made for me over and over.) It would have been some day in that fall of 2001, in one of those moments when the afternoon had ended and the evening was beginning. It would have been one of those moments that I knew that if we were to continue the day, if I were to keep him here, we’d have to eat something. I’m not sure that I’ve ever told you this story. How we went to a tiny school, but never knew each other? How Joey and I (both, of course as many good love stories go) were lovingly attached to others who had already graduated and were waiting in distant cities for us? And how we ended up with the exact same class schedule our senior year, living a block apart? I think that the first time we cook for someone we might love, it’s a little bit like taking off our clothes. It’s that intimate, strangely exhilarating, and mostly overwhelming. Maybe it’s after a day of wondering or adventure that goes by like there is no world outside. Maybe lunch was skipped because we just plain forgot, and we are not hungry and so hungry at the same time. And then, if we are young, there is the funny feeling of playing at house, the two plates, forks, napkins. Maybe there is wine, but it could just as well be water and we would feel strange and drunk anyway. And if it is Fall, our hands are cold. That night, I’m guessing it was probably noodles with butter and parmesan. Broccoli, steamed with tamari and olive oil. And tofu, cubed and fried in a hot pan until the corners crisped. Two plates, two forks, two napkins–all in the little kitchen in my house on Cortez Street in Santa Fe that I shared with my friend, Eilen. She, walking in halfway through, confused, I’m sure, by why we were sitting in the dark. And then she’d grab a plate and we’d be thankful for the easing of the tension, and of course, for her company, which we both still crave. 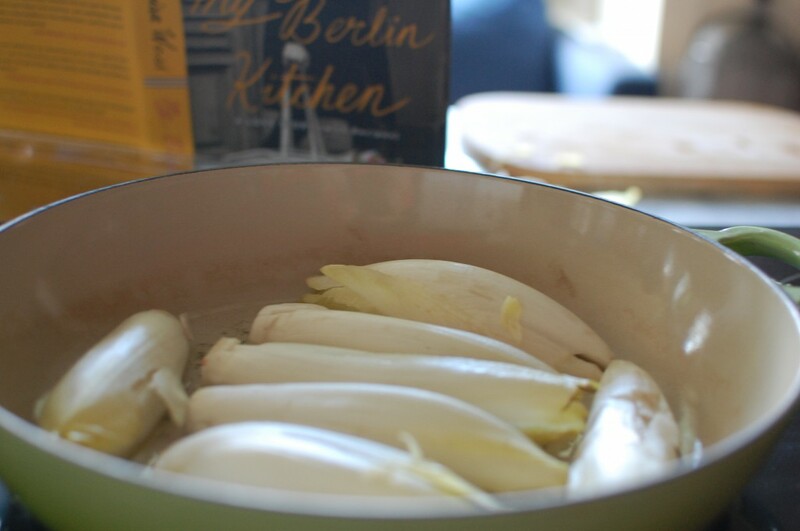 I’ve just finished Louisa Weiss’s book, My Berlin Kitchen. I’ve been reading her blog for a long time, since before I dared to write a word online myself. She has this way of writing, like a friend who wants to tell you something so badly that she can’t keep it in. Her writing is so loveable–it is humble and delicious and so exquisitely full of heart. And in these years since I cheered to find that she was poised to take the big leap, to leave everything she knew and to go towards love (both of a man and a city), I’ve been waiting for this book. And it’s been worth it. 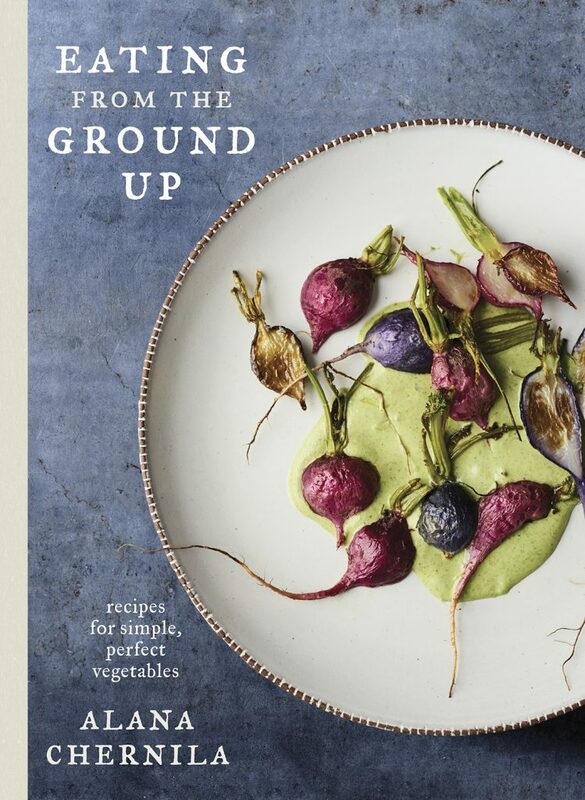 Of course there is food in Louisa’s book–delicious and wonderful food that makes it hard to decide whether to read another chapter or get a pot heating on the stove. She feeds us through dinners alone and holidays, through depression and small New York apartments. And I think that through it all, my very favorite parts are when she lets us in to the kitchen in the beginning of her love stories. I had forgotten the intimacy of those moments, the wonder of the first time we eat together. 1. Wash and dry the endives and pull off any discolored outer leaves. 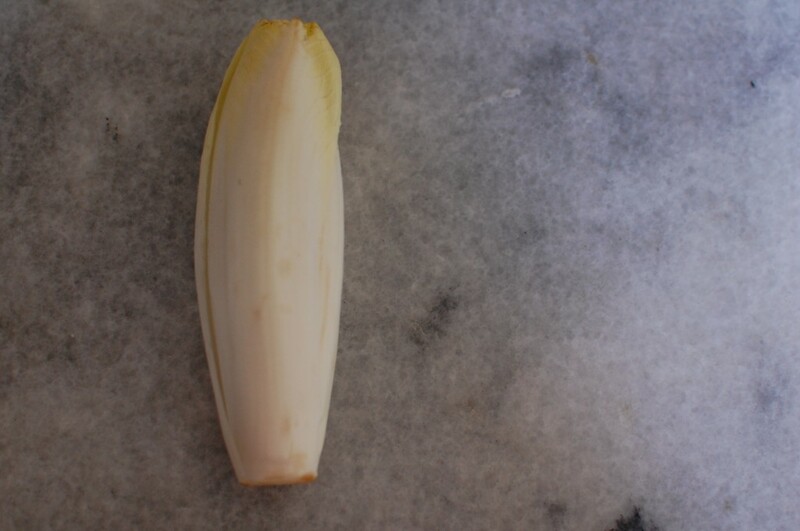 Cut them in half lengthwise and trim off the root end but leave the endive halves intact. Cut out the inner core. 2. Heat the olive oil in a heavy, lidded 3-quart saute pan over medium heat. Put the endives, cut side down, in the pan. (If your endives are huge or if you double the recipe, you may have to do this step in batches.) Let the endives cook for 3 to 5 minutes on each side, letting them brown but not burn. 3. When all the endive halves have been browned on both sides, squeeze them into the pan and sprinkle them with the sugar, salt, and pepper. Let the sugar melt for a few seconds. then add the lemon juice, immediately turn the heat to low, and cover the pan. 4. Let the endives cook for 15 minutes. They should be fork-tender and caramelized. 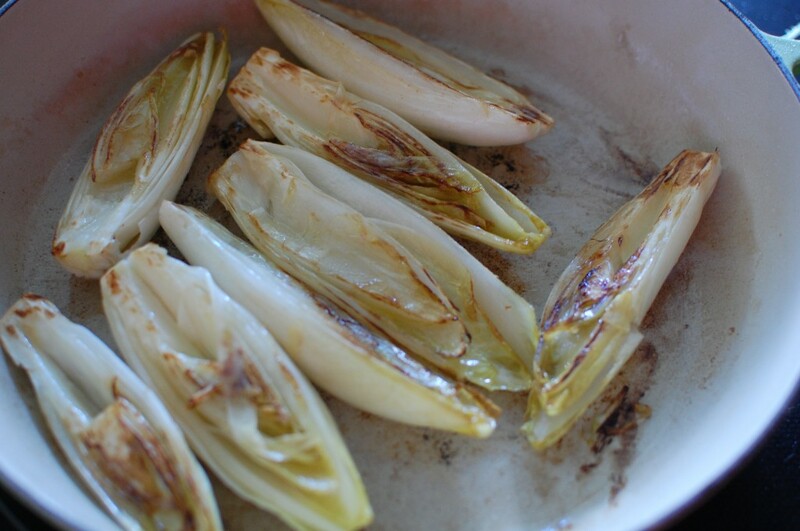 Remove the endives from the pan and put them on a serving plate. Raise the heat to medium and reduce the cooking juices in the pan to a thin syrup, stirring for 2 to 3 minutes. If you want a richer sauce, add the tablespoon of the butter to the pan and stir it in until it has melted and emulsified, creating a silky sauce, an additional 3 to 5 minutes. 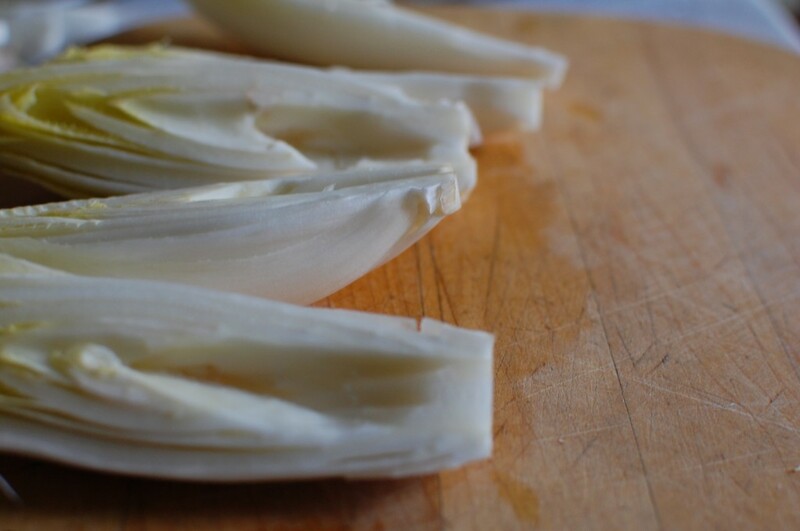 Butter or no butter, pour the sauce over the endives and serve immediately. And yes, yes–Louisa’s publisher has given me a copy to give away! Will you tell me your love stories? People, cities, it’s all fair game. Whatever you’ve loved and what you ate in the process of figuring it out–I’d love to hear about it. Let’s talk until Tuesday night, late, and then I’ll pick a winner on Wednesday morning. Good? AND I wanted to tell you, too, that this weekend I’m going to be at the Eat Boutique Market in Boston with some pretty wonderful authors and delicious food and all those good things. 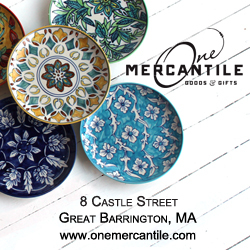 I’d love to see you if you’re in the Boston area! More details on the market here. Okay- love, food, stories- GO! I met my love on a college exchange program at the oh so young age of 19. Somehow my parents allowed me to travel from small town Minnesota to a college in Redlands, CA (just East of Los Angeles) There I met my handsome Armenian. He was tall, dark and handsome (still is) and he asked me to keep him in the back of my mind as I drove away back to the snow and cold of a MN January. We wrote letters and sent tapes (back before e-mail) and only saw each other twice a year. Of courses the first meal my Mom fed him was a casserole (hot dish) as we call it in the Midwest. For some reason he always remembers her asking him if he liked curry since that was a pretty exotic spice for our little town. She made the chicken broccoli dish with loads of mayo and cream of chicken soup. I traveled to LA to meet his family and it was a treat to my virgin tastebuds. We had roasted leg of lamb, hummus, basterma, stuffed grape leaves. I was in love!! We have now been married for 26 years and have four children who love to eat. We all cook together. I’ve loved following Luisa. Wednesday Chef was one of the first food blogs I read. I can’t wait to read her book! 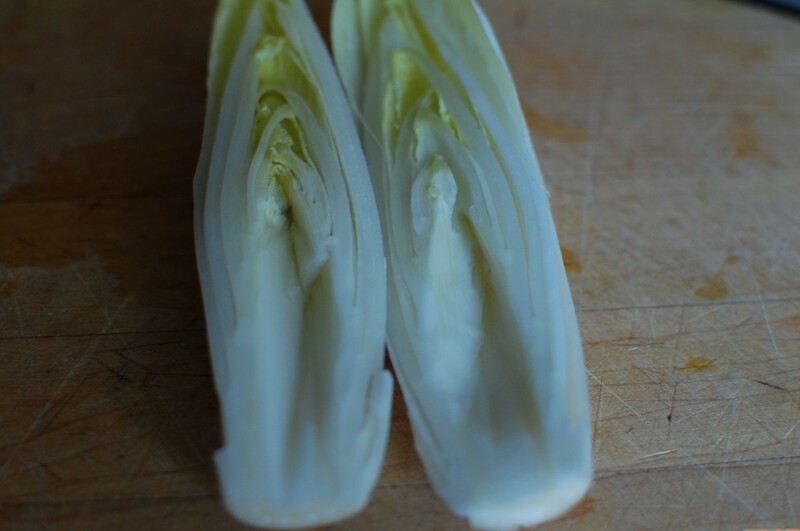 Belgian endives are very common als a winter salad here in Germany, but I did’nt try to cook them yet – looks delicious. My love story started the year after yours. My husband needed a place to stay and since I had roommates who were away for the summer, I brought him home with me. We woke up and had mango smoothies and began our life together. I’ve been looking forward to reading Louisa’s book. Oh another great book from a great blog! I’m also excited about those endives, since it’s not a vegetable to love at the first bite. I love your comparison of cooking for someone for the first time to taking off your clothes. It really can feel that way! I remember when I first started dating my husband and I cooked dinner for him for the first time. No idea why I was so nervous; he’s like a garbage disposal (but I guess I didn’t know that at the time)… but I do remember leaving work early to hit the grocery store and prep. Luckily it turned out OK and he took seconds! The first time I met my future husband, we got into an argument over whether English was a needful class for all college students, even engineering majors (I was on the English side, he on the “engineers don’t need English” side – an opinion which, I’m happy to say, he has now completely reversed). I felt guilty the next week about crushing this guy I had just barely met in a silly argument, so I made brownies as an apology. I didn’t know this then, but he hated chocolate! Knowing I had brought them as a peace offering, though, he ate two and said they were actually pretty good. My parents looked at each other that night after I’d gone to bed and said “I think we just met our future son-in-law.” Two and a half years later, they were proved right. I love how many of these stories involve someone wooing their love with a food they hate! That’s the power of love, I guess. I remember the first meal my now-husband made for me: orzo with homemade tomato sauce. Simple, humble, delicious. It’s true that those first few meals with someone you’re falling in love with are so wonderfully nerve-wracking, you never forget them! 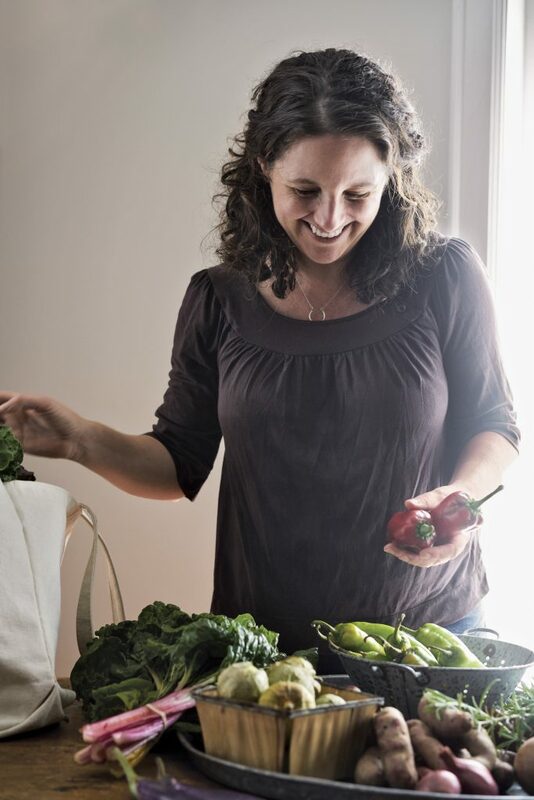 These days, to paraphrase the terrific chef/writer Crescent Dragonwagon, every meal we make for each other is an affirmation of our relationship – each bite is a “yes” to the life we’ve chosen to make together. We met at work. He was my boss, then I was promoted and became his boss. Then we both quit and went travelling around the world. I’ve been in love, but I’m still looking for my love… but I’ve spent lots of time in Berlin and have an incredible fondness for the city, and a great desire to return again and again. I would love to spend some time with Luisa’s book and read about her experiences…. Not shocked! Love it. Sometimes, you just know. I had already written down this book as a “must have,” I would cherish it! I had always appreciated healthy foods. When I was first married, we purchased a flour grinder. We were living in a tiny farmhouse on 27 acres, that we’d go for a walk amongst the cows and wildflowers. Our kitchen furniture was an old spool table with crates for chairs. I loved to make homemade flatbread and soups, such as bean and vegetable or French onion. The flatbread would be made from freshly ground whole-grain flours, hot from the oven. It was an enchanting time of life, to be so young and in love and enjoying the country and earth’s bounty. One of my favorite dishes to make was “wine, bread, cheese and thou,” which was a casserole made with these things, from one of the old hippie cookbooks with handwritten recipes, but I can’t find it anywhere! Instead of reading romance novels, I absolutely ADORE cookbooks with a love story entwined, love of the cooking, love of the food, love of the people being treated to a dish made with loving hands. Oh, the flour grinder, the farmhouse, the cows–what a picture! I can see it perfectly. How about the end of a relationship? You know, that moment when you know it’s over. Really over. I was dating this guy (a Canadian) and Thanksgiving was approaching, so I went into full on mid-western, small town girl preparation. This included ordering an organic turkey and all the trimmings from scratch, including two pies. The day arrived and I was so excited and proud to get this spread on the table. Everything was wonderful and I’m not just saying that. It really was. Towards the end of the meal he made an off-handed comment that he really didn’t like turkey. I could have clobbered him with one of those gorgeous, organic turkey legs. At that moment, I knew we were doomed. Amen to that. Here’s to the wisdom in knowing it’s time to move on! Oh my gosh, my husband and I got together over braised endives! Sort of. Having dated mutual friends at the same teeny, tiny college, we both wound up taking a two-credit cooking class with a francophone lit professor who taught us decent knife skills, a quick chocolate mousse recipe, how to cook fish en papillote and, yes, how to braise endives. We had to practice each menu together, of course (self-assigned…. ), and though we headed to differ countries the following semester, we wound up coming back to each other – and cooking – for keeps. I love the outdoors. I love trees, and flowers, and mountains, hiking and breathing the fresh air. I’m stuck in an office all day long, daydreaming about being outside. In the office I eat junk. Candy and cookies and treats people bring in. At home I eat much better, much more healthy foods. I guess I need to retire. Ha! Everytime I make anything even close the first dinner I cooked my boyfriend of 4 years he gets excited. It was a recipe I had been wanting to try and seemed easy enough but I thought it would also be impressive to someone who wasn’t used to a lot of recent home cooking and I knew it was flavors I love. I have the recipe tucked away somewhere but it was a light pasta dish with lots of garlic, shredded zuchhini, onion and a sauce made from yogurt and parm. He loved it and so did I. This: ” If you are ever so overwhelmingly excited to have a new friend, and you count the moments till the next time you get to see them, chances are–you’re in love.” is our love story. I met my husband 25 years ago when he would frequent my workplace. He eventually hired me to work in his office. I hated the job and him. I thought he was arrogant and the job boring. I eventually starting enjoying the work and tolerating him. Eight years ago, I was going through chemo and he was finalizing his divorce. Both of us were faced with major life changes and the depressing thought of going home to an empty house. We started going out to dinner (mostly Chinese) a couple of nights a week. After about nine months, we both noticed that we were looking forward to those dinners a little too much for it to be just a friendship. We married three years ago and I couldn’t be happier. Oh Penny, I love this one. Thank you. Your love story is a little similar to mine. We were in the same 2 year course at a technical post secondary school in Canada. I knew of him in the first year, but he was in a different set. In the second year, the sets merged and we got paired to work on our year long project. One day, I had a spare ticket to a concert, so I asked him to come along because I knew he would enjoy the band more than if I took a girl friend with me. I then made him my special sugar pancakes. A childhood treat. A recipe that my Mom made up on the fly one evening when my Sister and I wanted something sweet and fluffy. He was a pancake fan, so I wanted to share them with him. I made a special batch one morning and took it to school that afternoon just for him. He’d show me his favourite place to get waffles in a hole in the wall joint by his apartment building. We’d become fast friends. Hanging out all the time even outside the year long school project. As you said, it was love. My 20/21 year old self didn’t know. That April, we had to move away for a month to our respective practicums – and I missed him. We talk online, a bit on the phone. After we came back from practicum and a month before graduation, we realized we were more than just friends. Yup- definitely similar. Isn’t it funny how sometimes you’re the last to know, that it takes time to realize you actually love someone? The first time I fell in love I was 23 years old and he was 32. I made lasagne for him and he showed his appreciation by eating all but the piece I had on my plate. A few months later he left me for an older woman of 40. About six months after leaving he called and asked me for my lasagne recipe. I remember thinking “what the hell is he thinking? !’ I gave him the recipe anyway and heard myself ask him to call me and “…let me know how things turn out” They’ve been married 25 years and have told me “JoAnn’s lasagna” has been their anniversary meal every year since. Alright JoAnn, this is hands down my favorite story here. And that must be some lasagna. I LOVE my husband and four children. I large parts of my day cooking the things that they love. On Monday morning I woke up early to make hand whipped brown sugar whipped cream to put on top of a breakfast treat (breakfast granola over baked apples) for them. When they are gone I will go back to traveling the world and eating delicious treats from amazing places. Oh, Erinn, I love how you’ve said it. I know just what you mean. sorry no good love stories from me as i have recently been forced to flee a relationship with the individual who i thought was the love of my and had a true heart connection to as the relationship had slowly gotten more and more emotionally abusive. the effects of chronic pain and the depression that sometimes accompany it can be tremendous and simply more than some people and relationships can bear. though you know i do still love the person he is inside and the connection we had – so perhaps that is a “love” story afterall…. I think in some way, it’s a love story with yourself–it sounds like you’ve taken care of yourself here, and in the end, that is the best (and most important) love. My hubs and I were at the same school, in the same department. He was a graduate student. Me, an undergrad. He ended up asking if he could share my desk in the communal office for office-hours, not that his students ever came in, but he had to be there anyway just in case. We were both in those serious, long-term, long-distance relationships that you think are love but are just young people wanted to be needed by someone. Both those relationships ended pretty heartbreakingly during our fall break. We did the re-bound dating thing with other people while flirting pretty over-the-top with each other. Finally got together on opening night of a production we were both working on. I tried cooking for him, but my cooking skills were rudimentary at best – edible, but not praise-worthy. My baking skills were my claim to fame. I’m pretty sure I won his stomach (and possibly his heart?) with my homemade apple pie – the one thing he still requests for his birthday dinner each and every year for the past 12. It wasn’t until 2 years ago after a nasty bicycling accident that I put my mind to learning to cook like the women in my family do – cooking is an act of love for all of them. It’s how they show they appreciate you dropping in, helping out, visiting, just being part of their lives. I had rejected that idea too many years ago thinking that modern, equal-opportunity women didn’t slave away in front of the stove when they could be doing something worthwhile. Suddenly, I had lots of time on my hands stuck at home, unable to work while I healed. Hubs was working, winning the bread. Kiddo was in school half-days. I was lonely and a little physically broken and looking for something to make me feel valuable and necessary. I starting cooking. After awhile I realized that all those hours in the kitchen my family’s women had spent creating tangible love were completely essential to their families, relationships, community. And the best part of my childhood. So now, I put love on the table twice a day with a little more tucked into lunch boxes every afternoon. I spend hours growing and tending love in the gardens all summer long. I can and freeze and dehydrate it. And at the end of the season, I take a moment to appreciate the shelves groaning under the weight of all that love just waiting to comfort us all winter long. It’s as simple as that. And all it took was a good smack to the head to set me straight. What a beautiful testimony to the power of love and the tangible expression of it via the food from our kitchen! In the spring of 2011, my husband, two children, and I went to Switzerland and Italy. During most of our time in Switzerland, my husband spent most of the daylight hours in work-related trainings, which meant I had to navigate a foreign country and a foreign language with an 18-month old and a 5-year old. I was blessed to have this amazing opportunity travel, but there was also a lot going on in my head at that time. My littlest was still nursing, which meant we didn’t sleep through the night yet, and I was still trying to balance motherhood, wifehood, and my own identity. I didn’t know who or what I was supposed to be, outside of my roles as mother and a wife. I felt so out of place on Lake Geneva, so jet-lagged and overwhelmed, that I wanted to turn around and go back home to California. But I figured out how to order black coffee, three slices of pizza, chocolate, and train tickets in French. I guided us through Montreux (where we found Le Chateau de Chillon, where Byron wrote The Prisoner of Chillon, and I LOVE poetry), to Lausanne and the Olympic Museum, to Gruyeres for green hills, wild flowers, laundry lines, chicken chatter, the slow bells of goats and cows, and quiche on a hilltop. I found the local market near our hotel and went there daily for cheese, olives, and walnut bread. On one of my husband’s days off, we took the train to Bern, and when the coffee cart came down the aisle with its tiny cups and strong brew, I knew exactly what to ask for. My husband was surprised I knew how to order, how to change trains to reach our destination. I was amazed I had done it on my own. I found myself falling in love with Switzerland, but looking back now, I think I was falling in love with my own capabilities and with the realization that I didn’t need to worry about who I was supposed to be. In each moment, I only need to be exactly who I am. right now. I love this too! I love how you so beautifully nail down what travel can do for our own self-worth. I’ve never found the words like that before, but reading this–I just love how you say it! Thank you. I saw “My Berlin Kitchen” at the bookstore last weekend and was flooded with my own memories of Berlin, a city I love beyond compare. I lived there for just under a year after I graduated from college (many years ago) and experienced my own love and heartache and dreams that could not come true. Memories of that time are bittersweet. . . The first thing I cooked my love in my own kitchen was kale with caramelized onions. Still one of our favorite meals. I am so looking forward to reading My Berlin Kitchen! (Also I got your book for my birthday this year and I absolutely love it! Thank you, Tanya! I think you’ll love Luisa’s book too! I think the first time my husband and I really realized that there might have been something more than friendship between us was when we spent an evening cooking together. At the time, I was commuting an hour each way to the city he lived in — the one I had lived in before moving back in with my mom for a little rest from the world — for work (at two jobs) and school, but we still spent an evening or two a week together, usually going out for dinner and a movie or a night of karaoke with mutual friends. I’d bought him a cookbook for his birthday (Vegan with a Vengeance), and somehow, a few weeks later, we decided we should cook something from it together. He chose the recipe — Isa Pizza, which has *so* many components — and when I got off work for the day we went grocery shopping together. At this point I was already something of a seasoned-pro of a shopper and far more experienced in the kitchen than he, so I gently led him around the store, showing him how I liked to heft the garlic, smell the tomatoes. We spent the evening making dough and sauces and vegan cheeses, all the while sharing in conversation and music and laughter, and in the end we enjoyed the fruits of our labor together. I’m not saying we wouldn’t have eventually taken our relationship from friends to the next level without that evening, but I certainly credit it with moving things along more quickly. There’s a certain amount of trust that goes along with cooking with someone that turns it into such an intimate experience. My husband and I met in Sitka, Alaska at a church potluck picnic. I decided I was not going to date anyone on New Year’s Day over freshly boiled clams we had dug on the super-low-tide; a month later we were dating and had our first date eating seafood pizza at Van Winkle and Sons (a terrific Sitka establishment with the best seafood pizza ever–scallops, halibut, and shrimp, oh my!). Delicious eating and delicious loving. Thanks for this giveaway! I saw My Berlin Kitchen in the bookstore yesterday and it looks like a wonderful book. I also love Louisa’s wonderful way as both a writer and cook. It’s funny, because her blog and yours are the two food-related blogs that I ready with any regularity, though both blogs are WAY more than just about food. My story is similar to many of the ones already posted, though in my case it was my now husband who taught me about cooking. You see, I was a VERY picky eater growing up, but he’s gotten me to try (and LOVE) lots of new foods that I would have never tried on my own. He’s a wonderful cook and I’ve gotten a little better myself just by being with him. Thanks so much for the giveaway! I met my husband over 30 years ago. Our first date was to a restaurant called Via Fettuccine, which sauced it’s namesake in scores of ways. My not-yet love was so nervous and excited, he poured his red wine right down the front of his shirt while talking and laughing and (not) drinking. We both laughed more and I knew this was the start of something wonderful. Thank you (to you and Louisa) for all the great food and love stories. I love to cook and he loves to eat. Works pretty good that way. My great love is the town where I was born and raised. I left it 13 years ago to pursue my education. Every time I visit home, I ache to be back in its comforts and excitements. I’m almost done this education shenanigans and I hope that I’ll be able to return and rekindle my romance with my favourite city! Oh, I know how that is, Jillian. I love to be in love with a place… it just keeps expanding with new possibilities. The first food memory I have with my (now ex-) husband is him asking me if I liked corned beef then taking me to lunch at a deli in Chicago — which was two hours away. The next was him telling me I’d never be able to make him bacon, eggs and toast just the way he liked it — which turned out to be just the way I liked it. I’d never thought about cooking for someone being so intimate, but you’re right, it is. It’s definitely exposing a part of yourself, good or bad. I’d love to have a copy of Louisa’s book! I used to read her blog regularly, then for some reason stopped reading it. 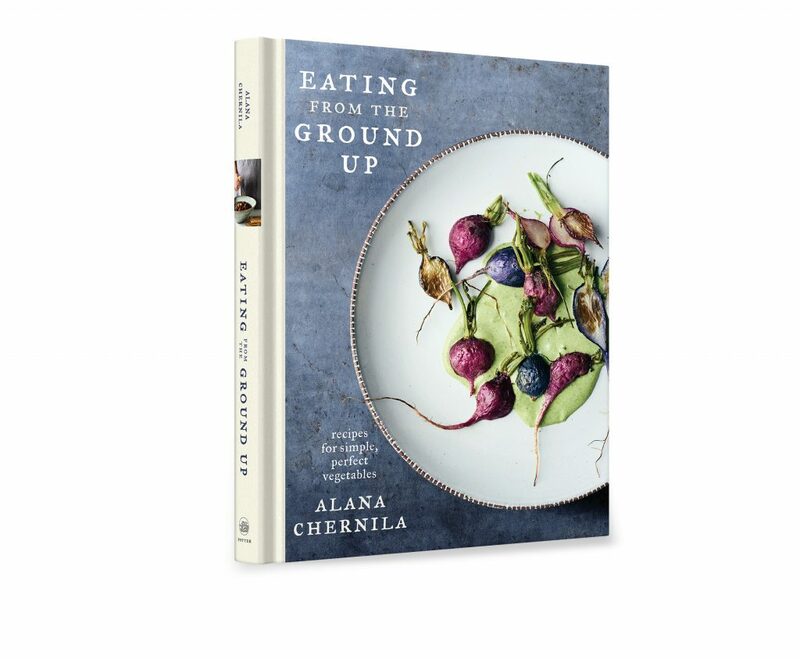 I rediscovered it recently and am excited about the book and her recipes. The first time a boy I really really liked came to my house for dinner I made him homemade sundried tomato bread, risotto and self-saucing chocolate pudding. He kissed me as he was leaving. I continued to make chocolate self saucing pudding for him at every opportunity until recently, fifteen years, a wedding and three lovely children later, he told me he didn’t particularly like chocolate self saucing pudding. But that he still adores our homemade bread and risotto reminds him of our first kiss. Self saucing pudding? I need to know what this is! 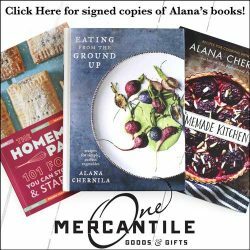 The cookbook sounds divine…and my husband’s family is German! Our love story is a story of cities. We met in Jackson, MS at Thanksgiving dinner with my family. He was spending Thanksgiving 2010 with mutual friends while moving from Boston to Silicon Valley, I drove in last-minute from Athens, GA to spend the holiday with my family. We’d never heard of each other, had chemistry from the second we set eyes on each other, and when we finally worked up the nerve to have a one-on-one conversation, we clicked and sparked like crazy right up until the end of the evening. Short story: the cross-country relationship was slow and not painless, and got even harder when it became trans-Atlantic. But he chased me all the way to Paris (where I was living for 6 months in 2011), proposed in front of the gardens at the Palace of Versailles, and gave me my very first kitchen that is ALL MINE to work, dream, and play in. A love story that ends with a kitchen… perfect. Ah, love. Your 22-old self sounds alot like my 27-year old self. We met through mutual friends and were kindred spirits from our first conversation. Much like you, I was oblivious that wanting to spend every moment chatting, listening to music, getting groceries for meals or going for walks and bike rides with my new “best friend” was probably and indication of something more. I would re-arrange my days so that I could pop over and say hi, and he would keep me up until 4 in the morning with new songs he’d learned on the guitar that he thought I’d like. A few months after we’d met, I spent weeks preparing for his elaborate, inside-joke filled surprise birthday party, and friends laughed and called me on my obvious crush. “No, no”, I’d said, “we’re just friends, he sees me a buddy, I don’t want to mess that up.” A few months later and the tension was unbearable: it was in our eyes as we said goodbye, in our skin that seemed to linger as we brushed past each other in his tiny kitchen, in our silences when the lyrics to the songs were just too close to home. One night, as we sat, chatted and ate cut up red peppers, he blurted out what he felt, I stared at him in amazement and we kissed. I would always get annoyed at people who said “you just know” when you’d met the one, but we both felt it with everything in us in that moment. We never looked back after that moment and every day with each other has always felt so right. Five years later, we have a home that we love, a beautiful child and we’re stille ach other’s favorite person. I can’t even express how lucky I feel. Oh, Janelle- when you describe it, it feels like you’re telling my story too! I love that experiences can be so common and so unique at the same time- makes me feel a little more connected even to those I’ve never met. Thanks so much for sharing this. Ha! A good old-fashioned love story! I love it (especially the snow part)! I can’t recall the first meal I cooked my husband, but the first one he probably cooked for me was pork chops and rice in cream of mushroom soup. It’s not the kind of food I eat for myself, but it was a gesture of love–and he was also cooking for his three kids as well. We’ve been married now for 11 years and he has learned to love hand made good, garden produce, and he helps me can and freeze most of what we grow. We don’t really eat pork chops now and cream of mushroom soup is a rarity in our diet. But meals put together with love are served daily. Oh my gosh, the first thing my hubby “cooked” for me was a can of Chicken & Dumplings – it was horrific! The first thing I cooked for him was my mom’s Hamburger Pie! Amazing the leaps and bounds we’ve made as foodies since those days over 6 years ago. What a wonderful post! Thanks so much for sharing. For me, love and food would mean breakfast. When I first started dating my boyfriend, in the mornings he would always try to make me breakfast, but after 21 years of not ever eating breakfast, my stomach just could not take the heavy food he was trying to feed me. After explaining that, the next time I spent the night at his place, he presented me with an array of flavored yogurts to choose from, which weren’t as filling. In the 5 years since we have lived together, he would always get up early and make me a breakfast smoothie, regardless of the fact that he could have slept in for 3 more hours. That to me is true love. Absolutely! Sounds like a good one. My husband and I had a long distance period for a while and my fondest memories are waking up with him on saturday mornings and toasting up english muffins to enjoy with our coffee together- now whenever we have english muffins at home I can’t help but smile- the earliest memories are some of the best (although somehow they keep getting better as time goes on too)! Love your site- and your book- and can’t wait to read Luisa’s! The first time one of us cooked for the other, it was my husband who cooked for me. Which was brave of him, I thought, since I don’t eat meat and he has a more traditional diet. I love thinking back on those early days — such an exciting time. We are the product of some match-making friends who just wouldn’t give up until they succeeded in getting us in the same room together. Thank goodness! The first meal my now husband made was a simple pork tenderloin with broccoli and red wine for the grownups. Now I do most of the cooking but I loved that he made this first dinner. My love story starts in stats class in grad school (where all great love stories start, I think). I was trying to get this very nice guy and my very good friend who needed a distraction from her current boyfriend together. But soon I realized I really liked this nice guy! So I called my friend and asked if I maybe could go out with him instead? She totally understood, and could see me coming a mile away in fact. Guess I’m not subtle. Although not to him, he had no idea I was trying to fix him up. Anyways, fourteen years, four states, two kids later, we’re married. He cooked me salmon on the second date. I knew he was a keeper. My first love took place in Germany, and although cooking wasn’t much involved, food and friendship was. I was 15 and had just moved to Munich, Germany with my sister to live with our father for a year. I of course had never been in love before, but had already been fascinated with Germany for years and begged my mom to “let” me take after school German lessons when I was only 10. Being in Munich was like having the windows to my world flung wide open – and I was truly on Cloud 9! I met my first love at the first teen party I attended – I saw him come into the room and he literally took my breath my away. I watched him in secret all evening long, but he didn’t notice me at all. It turned out that he also went to the American High School, but we had no classes together until the Spring. But in the meanwhile a new girl joined the school, she and I became instant best friends – and she and my still-secret crush started dating! I said nothing about my real feelings for him, but we three became inseparable. When she moved away after Christmas, he and I continued doing things together – and, just as you said, began practically counting the minutes until our next outing or event. We lived biking distance from each other, so after school would bike to each other houses to listen to records (yes, records on a stereo!) together and talk for hours. The first thing he ever made for me was freshly squeezed orange juice made from blood oranges, which I had never seen or heard of before. I was amazed at the color of that juice, and asked for it every time I went over! We laughed so hard over that – and only a short time later we looked at each other one day and realized we felt a lot more than “just friends” when we were together. We had a perfect first romance which lasted for a couple of years, despite circumstances that had me return to the USA the next year (Oh! the heartbreak of leaving him in the airport, and the knowing smiles of the grownups around us watching us cry). Thirty years later (both of us now divorced and parents of two) we are still so connected in spirit, that we can talk for hours on the phone and help each other through life’s ups & downs. And the story of the Strawberries in the Box still makes us laugh. Oh I love this, especially thinking about the connection that still lasts throughout all this time. It was the crisp calamari that sealed the deal between him and I. A bit of squeezed lemon, some great conversation. and a glass of savignon blanc cemented our future. I still see today when I look into eyes what I saw that first meal. Our first real date, after spending the entirety of a party together the night before, we went out for empanadas at a cash only place, and he didn’t have cash, so I paid. He redeemed himself on our second date when he made dinner for me, cornish hens and salad. Since then I’ve gifted him cooking classes, we’ve gotten married and he’s made me countless amazing dishes. And nearly every time he’s just as nervous as the first time he cooked for me, worried that I won’t like it. My husband and I met at a coffee shop. On our first date 17 years ago, I brought him plum preserves, he brought me peach bread he baked in a coffee can. It’s still like this today. I’m lucky enough that I met my husband at an early age (15!) and we were also friends for a couple of years before we figured out that we should probably give it a shot. I’ve been with him for 10 years now, and I couldn’t imagine my life any other way. Your analogy comparing cooking for someone for the first time to taking off your clothes is spot on, I was so nervous when I started cooking for Jay! I was a “baker,” AKA Toll House cookie maker, almost exclusively until I was about 23 or so (except the one time I cooked an entire Thanksgiving dinner, and then didn’t pick up a pan for another 2 years to make anything savory of note). When we moved in together about 3 years ago, I decided to figure out how to feed the two of us, and discovered that I loved savory cooking as much (or even more) than the dabbling in baking I’d been doing to date. He’s still my favorite audience; he is so grateful for my effort that he still thanks me just about every time I cook, and loves almost everything I make. Even if something’s a dud, he’s honest and will still probably eat it (or at least try to) — now that’s love! Hemingway wrote that Paris is a moveable feast, and I couldn’t agree more. When my husband took me there for our honeymoon, I knew my head would spin with all the options for places to eat. Cafes beckoned beneath green awnings, menus read like songs (I studied French in school). Of all the bistros we visited, of all the crepes and sole meunieres we ordered, I think the best meal we had was the baguette, the cheese, and the bottle of wine back at our pied a terre apartment. We went up to Montmartre that evening and it began to rain. The treck back took forever and by then we were too tired to venture back out. On our balcony, looking out onto the rooftops, we toasted to the beginning of a magical life and the endurance of a love you truly only find once. Looking back, that simple and unsophisticated dinner made the biggest impression on my memory of Paris. I was a vegetarian, his favourite dish chili con carne. Twelve years later, we are still working on our perfect recipe for chili SIN carne, even thought I now eat meat. When I first cooked for my now husband. I was strangely nervous, and couldn’t figure out why, at the time we were just coworkers. I think my first meal was my version of chicken and dumplings (sans the chicken as I am a vegetarian). Not long after that he mentioned he loved enchiladas, so I spent hours researching my options on making homemade enchilada sauce for him. I met my husband on the first day I went to work at a Borders bookstore. I was finishing my training and he said: “I think you’re going to like working here.” Months later we were chosen to bring the big sheet cake to a local amusment park where we were all celebrating the marriages of two of our coworkers. I sat in back of the car and kept the cake from being squished. Weeks later he offered to make me dinner, at the last minute he called and said he threw his back out. We rescheduled that date and here we are still together after 18 years. When he makes chili, cornbread with blueberries and brownies it reminds me of that first almost-date. A love of books and food sustain us, and I hope it will always be that way with us. I met my love in high school Junior government class when we had to do a class project. We worked on that project every day for hours for the better part of the semester, and by the end of the semester, we were the best of friends. I can relate that if you have a “friend” that you cannot wait to see daily, then you are likely in love. My first meal that I made for him was after I graduated from high school, but before college, and I attempted to make baked rice and chicken. He got stuck in the driveway in the snow, and I left the dinner in the oven for an extra hour while we were both out in the snow digging his car out. By the time I checked on dinner, I thought it was perfect….until he took a bite and promptly spit it out. Apparently the chicken was raw and the rice was very uncooked. Not sure what happened, but I was so embarrassed and we ended up getting a pizza. I have become a better cook since that day 15 years ago, and he now eats my food without worry! The first time that I walked out of the Brighton Train Station I fell in love. Any place that you can see the sea from almost every point in the city is ok with me. When you emerge from the train station, as I did, completely sleep-deprived and nervous and excited – my first moments as a student abroad arriving from the U.S. – and get smacked in the face with some fresh, salty air and a view straight down the road from the train station ending in a blue-green sea, how can you not fall in love? Prowling the lanes of Brighton I was free – for the first time—to choose my own ingredients, to cook whatever I wanted to nourish myself with, for every meal. The English supermarkets held so many “foreign” or exotic new things: Vegemite! Hobnobs! PG Tips Teas! I love it all. But even more enticing were the Chinese and Indian markets, and there were plenty of them, along with a random Italian one where the guy taught me how to make polenta, and I still make it the same way, 23 years later… yum..so good…a lovely little shop. A few years later, I was able to spend another glorious year in my chosen city, and then a few years after that, here I was again! I kept getting drawn back to this wonderful place, with rocky beaches and the wackiest, tackiest Pier you could ever want to stroll down on a misty Sunday afternoon. The last year that I lived in Brighton, I had a room in a flat rented from my friend, who was a part-time resident of said flat. He didn’t like to cook. But he loved to eat. Each week I’d spend 2 days in London, making pastries at Le Cordon Bleu, and then at the end of my second day of blissful pastry heaven (sending photos of my sugar and chocolate final exams to my best friend in med-school…what a way to go! ), I’d hop the train for Brighton at Victoria Station with large cakeboxes tottering on my lap. I’d arrive out of the train station and hop a bus out to Kemptown so that my friends could dig into my latest projects. And during the weeks when my landlord was in town, not only would he get to gorge himself on creamy French pastries, but also I would cook for him every night. I’d hit my ethnic markets as I scaled the hills of Brighton and come back to the flat and cook to my heart’s content. Oh Rachel, thanks for letting me travel with you for this one! Love it. I know I’m too late for the giveaway, but I’m inspired by the stories above to share mine! We met through friends. On our first date, he brought a box of apples he’d freshly picked from a friend’s orchard. It was such a thoughtful and perfect gift that I was completely smitten (well, more completely smitten than I already had been). After dinner (beers and Mexican food) he came in and had a cup of peppermint tea (which he hates!). Neither of us wanted the night to end, and that cup of tea lasted for 5 hours, and, I suppose, the five years til now. I’m glad you piped in… apples, beer, and mexican food? that’s my kind of love story. My first dinner that I cooked for Michael was stuffed squash flowers, a la Grandpa Irving! Imagine my confidence in the relationship that I decided to cook such an exotic meal for a meat-eater, no less! Well, almost 35 years later, he still loves my cooking – he’s my biggest fan! I loved reading your story – it’s one that I haven’t heard yet! Thanks for sharing. My love story starts out so familiarly. I go the library, run my hands over the books in the Cooking section, see what will grab me. There’s a new one there, with the spine unbroken, and home made pop tarts on the front. I’m one of those absurd people who happily does crazy things like make home made pop tarts, so the book goes home with me. Do I adore the pop tarts, smeared with home made nutella on the inside? You bet I did. But that’s not what this story is about. In my quest to eliminate processed food from my diet, I had stopped making pudding from the little packets years ago. I had abandoned the dessert of my childhood, the one thing that my Mom would make for dessert with some frequency. I never bothered to look up how to make pudding from scratch, as it just never occurred to me. In this book, however, I realized how simple and easy it was to make pudding from scratch. I’ve now made 3 batches, using my new home made vanilla extract, and I eagerly await my trip to the grocery store tomorrow for fresh milk so I can make batch number 4. I love my husband of 10 years, who I’ve been with since our freshmen year of college, but right now the only thing I can think about is vanilla pudding. We made five pounds of pasta sauce that evening and drank fantastic wine and fell asleep on the couch. We got married almost a year ago, and just bought our first house together where we can finally have a BBQ and are looking forward to planting our first garden in a few months teaching our 3 year old daughter (yeah, do the math), where all this food should come from. On our “Pasta Anniversary” we make the same sauce every year, it’s the one dish our picky daughter will always eat, so we make it quite often throughout the year as well, there’s always a bag or two of it in the freezer. However, my husband claims the sauce we made on that night in September, was the best sauce we have ever made. He cooks so many things today compared to the man I met, who was living on fast food, but I still make the pasta sauce. He sees no reason why he needs to learn to make it now.